Do you love being pampered by a shower that offers unparalleled comfort? 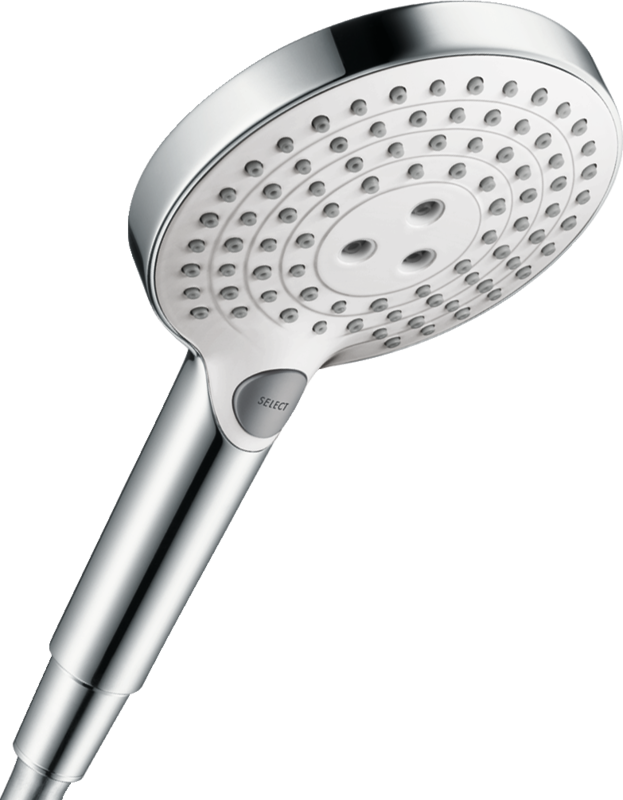 Experience water in its most beautiful form with the Raindance hand shower S 120 3jet Select! Here, the functionality, ergonomics and design are truly impressive: 125 mm shower heads promise showering indulgence on a grand scale. A symmetrically round silhouette, gleaming chrome surfaces and the contrasting white spray disc make a timeless design statement, which is in keeping with both classic and modern bathrooms. Limescale deposits on the nozzles are easy to rub off using your finger (QuickClean), guaranteeing long-term, uninterrupted enjoyment of the product. 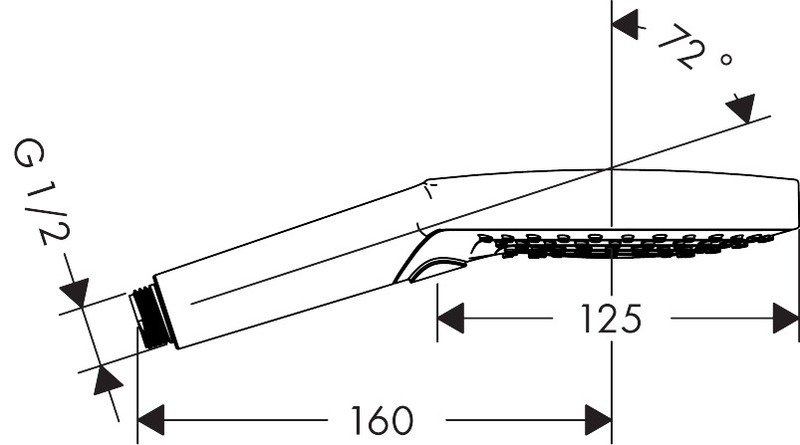 Your range of shower features includes three different jet types. The full-bodied Rain shower rain is ideal for washing hair. 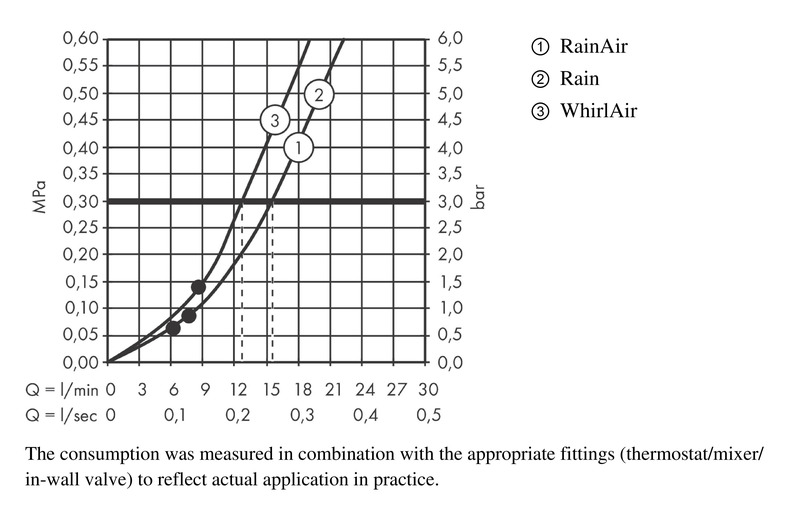 Then the soft shower spray RainAir, whose droplets feel exceptionally soft due to aeration (AirPower), pampers you. If needed, the pleasantly concentrated WhirlAir massage spray adds variety and really wakes up your senses.